A Bodybuilder or Any Person Who Cares About the Overall Body Health Will Find Here Interesting and Useful Articles and Will Enjoy the Photo Galleries. The lack of pigment that defines albinism affects not only outward appearance, but ocular development, as well. Oculocutaneous albinism affects pigment in the skin, hair and eyes. Ocular albinism exclusively affects the development of the eye. In these patients, skin and hair pigmentation appears normal. People with both forms of albinism experience congenital visual problems associated with lack of pigment in the eye. Albinism is a genetic condition. Because of this, and because of the complexity of the eye, treatment options for vision problems associated with albinism are limited. However, there are existing treatments that can improve patients’ vision, and recent research in gene therapy may give new hope to sufferers. There is no surgery or treatment that can correct the developmental defect in the retina of the eye. However, there are some treatments for the specific symptoms associated with albinism. Additionally, vision aids and other treatments that work for the general population can improve the visual acuity of albinism sufferers, as well. None of these, however, correct any of the congenital defects of ocular albinism. Surgery on the muscles that control eye movements can be used to correct strabismus and improve binocular vision. A similar surgery may be used to minimize nystagmus. Hand-held telescopes, and bioptic telescope eyeglasses can help with the distance vision issues common in ocular albinism. 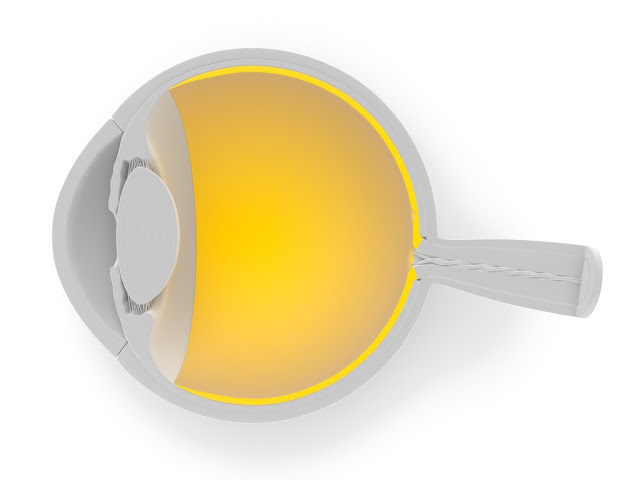 While some of these devices can be bulky and make the wearer self-conscious, the BITA system is comparatively unobtrusive telescopic eyewear. Another company makes auto-focusing telescoping eyewear. Albinism is a rare disorder that, according to the National Association of Albinism and Hypopigmentation (NOAH) affects approximately one in 17,000 people. Because ocular albinism is rare, non-degenerative, and its sufferers usually adapt well, there is very little research being done into therapies specifically for this condition. However, researchers are working on mapping the specific faulty genes that cause albinism. Additionally, gene therapy has already been used to improve the vision of patients with congenital blindness. In 2008, researchers at the Children’s Hospital in Philadelphia successfully used gene therapy to improve the vision of three blind patients. While those patients suffered from a different vision disorder, the successful use of gene therapy as a treatment for that retinal disorder indicates that it may one day be used for ocular albinism sufferers, as well. While there is no treatment specifically for ocular albinism, vision aids, surgery and the adaptability of those affected can minimize the impact of the vision disorder on patients with albinism. The successful use of gene therapy in treating a similar ocular disorder gives hope that a cure is on the horizon for the visual problems associated with albinism. Our mission is to provide a comprehensive network of alternative medicine sources. These sources provide a variety of programs, health cures, therapies, books, and supplements. Additionally we look at the equipment and devices that promote and facilitate health and fitness for men, women and children. Stretch your body and your brain: practicing yoga may improve your memory, a study says. Men who added twice-weekly yoga sessions to their workouts for six months performed better on memory tests than those assigned to other forms of exercise. Yoga may reduce levels of cortisol, a stress hormone that can impair memory when elevated. For maximum muscle you need to eat protein and carbs, otherwise you'll just burn the protein as energy. After lifting big weights, the ginger and chilli in this dish will help reduce any post-exercise pain. The veg in this dish boosts diet-induced thermogenesis (kilojoule burne through eating and digestion). The folate in broccoli also aids nutrient uptake, and its B vitamins help you to release energy. Please Note: This Health-Secrets.net service area is designed for educational purposes only. You should not rely on this information as a substitute for personal medical attention, diagnosis or hands-on treatment. If you are concerned about your health or that of a child, please consult your family's health provider immediately and do not wait for a response from our professionals. Copyright (c) 2012 - Health Secrets for Bodybuilders.